Since when is it that ladies rescue gentlemen? Shouln't it be the other way around? Maybe it is the influence of our post-modern culture finds its way into the casual games world, but that's what you are going to face in Nightfall Mysteries: Black Heart. The game is quite polished in its all aspects unless you have some very particular preferences. This time the story is covered with danger and intrigue and romance. Christine's lover is in danger as he was kidnapped by a masked man. All that is done by the evil Vansig family. This challenge is too big for Christine to deal alone, so she calls for your help. The presentation of the story is worth to be seen. The animation makes the absolutely gorgeous graphics even more impressive. Great voice-overs add to the general atmosphere. The game offers you three levels of difficulty to play. As in other games, you have your journal which contains map, tasks, clues and, one more time, place to store and listen to the tapes that you must find. You will go to many different locations to find and use the required items. There is a lot of work for you in this part of the game, but there isn't too much of bouncing from one location to the other. The puzzles that you get to play range from the usual classics to the more unique ones. There are a few that do require more of thinking to be solved. 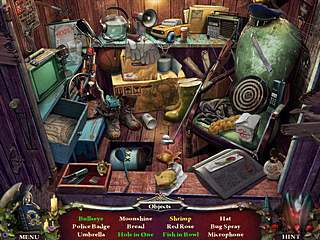 The hidden object scenes are interactive with the items that are easy to spot. Some of the items are totally out of the context of the scenes. In addition to the main game play you pick up Collectibles that unlock extra bonuses. The game is quite polished in its all aspects unless you have some very particular preferences. The game's story and game play is not very different from that of the very many other games of this genre, but Nightfall Mysteries: Black Heart is one of the best out there. I want to sleep, to forget. To hcnage the past. My wife and baby girl back. Unlimited ammo and a licence to kill. Процитировал Макс Пейна день прошел не зря. 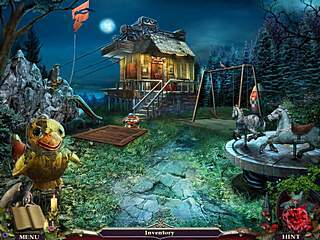 This is Nightfall Mysteries: Black Heart review. Download this game here.